scolding you for not doing your homework? Maybe as an adult, you think of them settling into retirement, or helping out as grandparents to your children? At a certain point in our lives the dynamic in between our parents and us shifts from that of a caregiver/child to an adult/adult. With that being said, just because we do not need our parents to provide us with the same type of care does not mean we cannot still learn and grow from our relationships with them. This may surprise you, but our parents had lives before we were born! Just as our life course has brought us to where we are today, our parents are on the same journey (just with a 20-40 year head-start). now hold a repertoire of life lessons. There are unfortunate instances where folks wish they had asked their parents for their opinion or advice before it was too late, and it is hard to imagine being left not only with grief after the loss of a parent, but also with unanswered questions. The idea of interviewing my parents came from the reluctant realization that as much as I want, scientists will likely not create a sublingual tablet for curing mortality. It was this notion, combined with my love of family-of-origin work and sentimentality that lead me to assemble a list of questions to ask my Mom and Dad. This list came from a non-exhaustive Internet search across various articles, and is inspired by a 1997 study from Arthur Aron and colleagues. In their study, the research team attempted to make participants fall in love with one another by having them ask each other 36 increasingly intimate and revealing questions. From my perspective, holding similar conversations with our parents provides us with an opportunity to build closer relationships in addition to exploring our own family history. 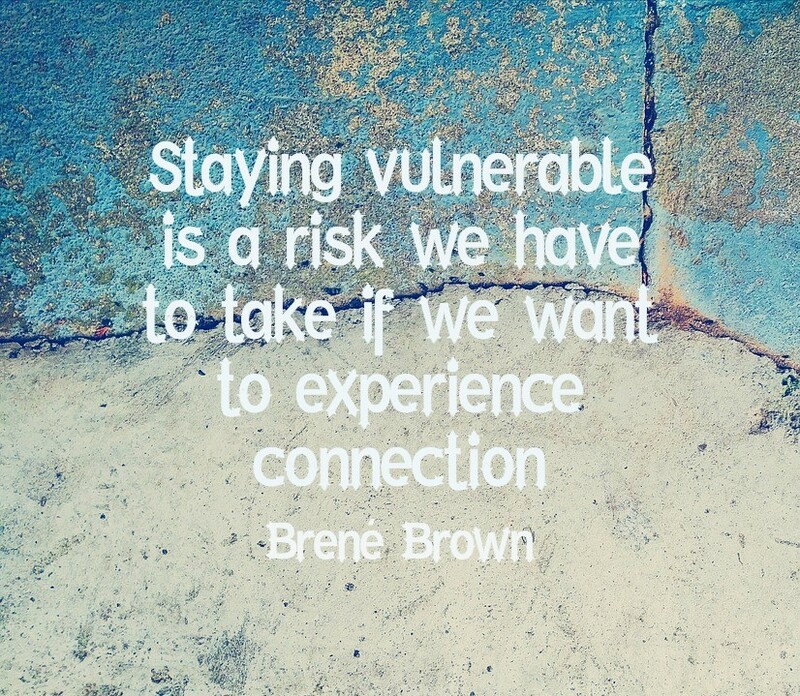 Asking my parents to be vulnerable and share their stories was a request rooted in the desire to know them deeply. 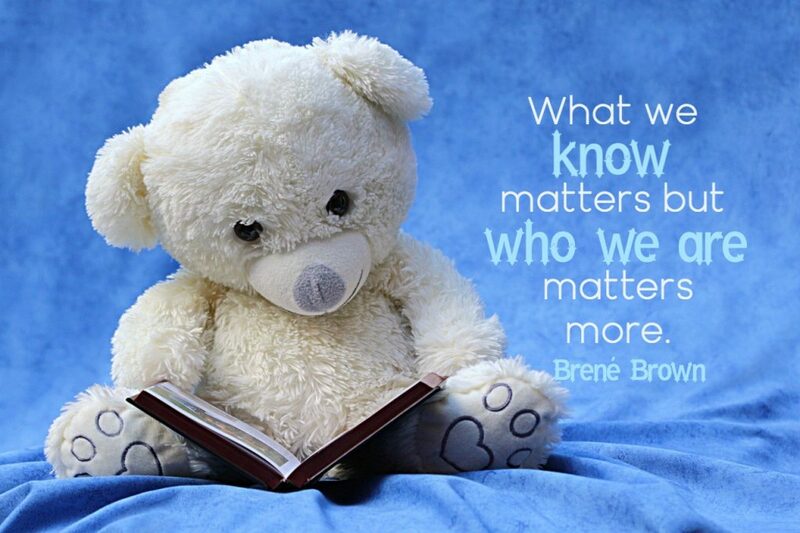 Even though I know them quite well already, I chose questions that would help guide a conversation about how they experienced growing up, marriage, parenting, and themselves as individuals. The questions I asked are provided below, and I invite people to use and edit the list, or even come up with a whole new set of questions to initiate conversations with their parents. they look forward to experiencing in the years to come. My parents shared with me how they value each other and their family. They shared the idea that parents never quite feel ready to be parents (even when their kids are pushing 30). They showed me that, like myself, they aim to balance home and work life, create memories with their loved ones, learn as much as they can, and have fun along the way. I learned that in their experience, family time provides an immense return on investment, and that they do not regret a single moment of energy that they put into creating a loving home. To put it simply, I learned my parents’ stories. When we are able to tell our stories, space emerges for us to get reacquainted to ourselves and to those who are willing to listen. The road to this current moment in our lives is one of uncertainty, trial-and-error, and a lot of hoping for the best. This journey is rarely as perfect as we want it to be, but the obstacles that we face become an important part of our story. Embracing where we come from is critical to both understanding and loving ourselves for all that we are. I didn’t think I could love my parents any more than I already did before this conversation, but I was proven wrong. Not only were their answers eye-opening and endearing, but their willingness to show me their triumphs and tribulations reinforced my feelings that they are beautifully brave, and that I am beyond lucky to have them in my life. I think that one of the greatest gifts we can give to others is the ability to see us for exactly who we are. 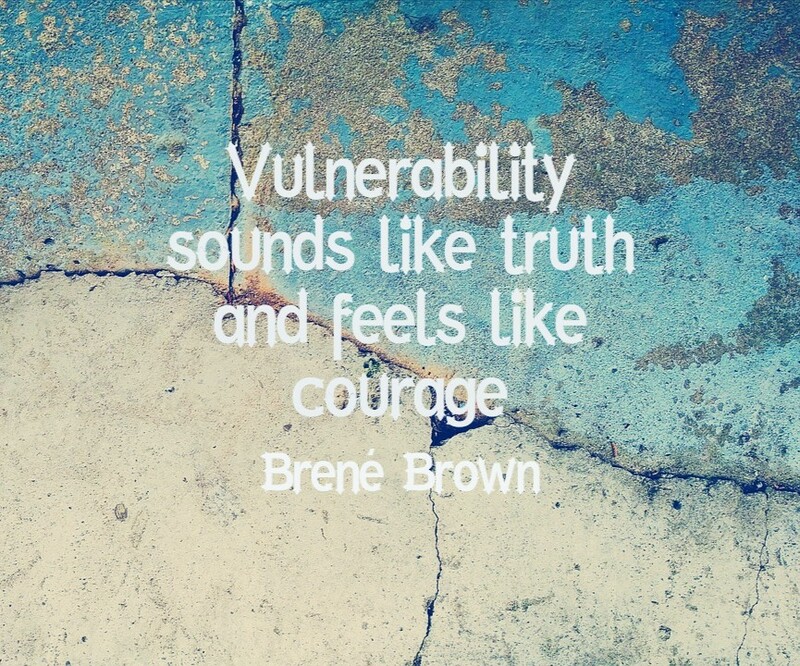 It can take a great deal of vulnerability and courage to show ourselves to others, but it is in that space that we give people the opportunity to love us completely. To my Mom and Dad, I love you always. The two of you gave me life but more importantly, you continue to let me know who you are. Thank you. 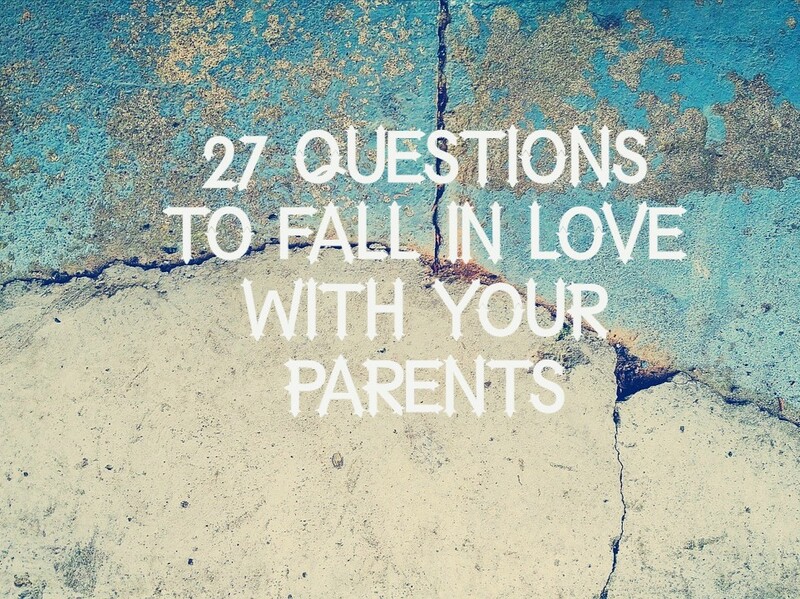 27 Questions for Falling in Love with Your Parents available as a printable pdf. 2) How would your parents have described you? 3) Growing up, who inspired you the most? 4) What is your most embarrassing moment? 5) When did you feel like you found your stride as an individual? 6) Has there ever been a fork in the road in your life? What was it and why did you choose that particular path? 7) What was the most important lesson you learned from your parents? 8) When did you know that you wanted to marry mom/dad? 9) What do you remember most about your wedding day? 10) What is the hardest part about being married? 11) What is the best part about being married? 12) What made you feel ready to be a parent? 13) What was your biggest fear about raising kids? 14) What is the hardest thing about raising children? 15) What did I do as a child that frustrated you and what did I do that you loved? 16) What was the best gift I ever gave you? 17) What challenges did you two have work through as co-parents? 18) What kind of parent do you think you ended up being? 19) What are you most proud of in your life? 20) What is something you regret? 20) What is a hard decision you have made? 21) What is your favourite family tradition? 22) What advice would you give your 30-year-old self? 23) What is something about you that you love about yourself? 24) What are 3 memories will you remember forever? 25) What would make you happy at this time in your life? 26) What is something that I haven’t asked you that you want me to know? 27) What have YOU always wanted to ask ME?